Incoming Multivac Canada Inc. president Evan Segalowitz (left) and the retiring president Nestor Plawiuk, who has headed the German parent company’s Canadian operations since 2006, strike a pose behind one of several high-performance thermoforming machines displayed at the company’s Packaging Technology Centre equipment demonstration facility in Brampton, Ont. 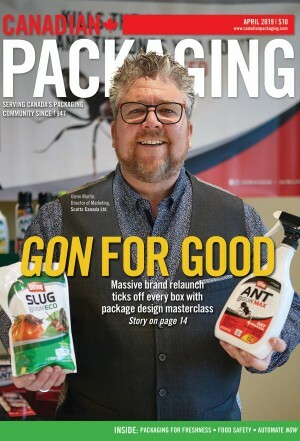 In this light, the word ‘outstanding’ may in fact be understating the stellar market growth enjoyed in the past 12 years by packaging machinery supplier Multivac Canada Inc. under the leadership of its outgoing president Nestor Plawiuk, who announced his pending retirement from packaging equipment business a few weeks ago. Sepp Haggenmüller SE & Co. KG has grown in leaps and bounds over the past decade in both equipment installations and marketplace prominence. While the Multivac brand name is a solid mainstay in contemporary Canadian packaging machinery nowadays, as it is throughout North America, this was not always the case. Plawiuk was initially appointed as head of a five-person crew to help the newly formed Canadian subsidiary find its feet and establish itself as a Canadian market leader. “Until 2005 all the Multivac business in Canada was directed from the company’s U.S. subsidiary in Kansas City and handled through various third-party machine distributors,” Plawiuk recalls. According to Plawiuk, Multivac had implemented this strategy worldwide in order to serve all its international markets through local personnel as a commitment to customers locally. “Today there are over 80 globally spread-out Multivac ‘daughter businesses’ around the world,” Plawiuk points out. “We have grown the Canadian business six-fold since establishing a bona fide Canadian corporate entity,” says Plawiuk, recalling he had to overcome lukewarm response and skepticism from many existing Canadian-based Multivac end-users who at the time were content with the status quo. Having turned 65 years old last year, Plawiuk says he feels very gratified professionally by handing over his leadership role to current vice-president of sales and operations Evan Segalowitz, who joined Multivac last spring from a leading product coding and marking systems manufacturer Markem-Imaje. While Segalowitz says he is well aware of the challenge of expectations that comes with the territory, he appears to be more than willing and eager to embrace it. 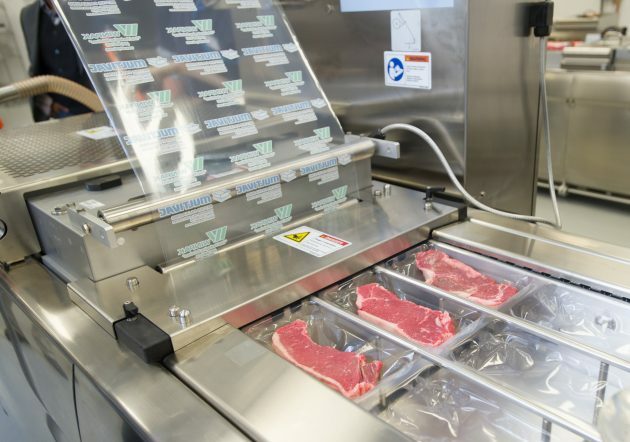 Manufactured by Multivac in Germany, the company’s thermoformers and other meat-processing equipment feature stainless-steel construction and highly sanitary design for full washdown compatibility, user-friendly operation enabled by touchscreen control panels, high throughput capacity, quick changeovers, and the renowned German engineering excellence that has enabled the machine manufacturer to build up prominent market shares in the global meat markets, including right here in Canada. It helps a great deal that he is starting from a very strong base with a formidable talent pool and an exceptionally loyal customer base placing a high value on the renowned German engineering prowess and high-quality craftsmanship for which Multivac equipment is universally acclaimed worldwide. machinery ranging from standalone thermoformers, tray-sealers and vacuum-packers to complete packaging line solutions fully-integrated with Multivac-made robotics, inline product inspections systems, coders and labelers, and all other manner of requisite subsystems, accessories and peripherals. also developed a good base in the medical, produce, bakery and prepared meal markets where Multivac has been traditionally strong globally. us to expand our food packaging solutions beyond protein into all food processing systems and medical device businesses with great success. “I am very bullish on the food business in Canada and our ability to meet its unique needs,” he asserts. Adds Segalowitz: “We are very keen to keep focusing on our automation equipment—from automated product loading to pick-and-place robotics and on the case-packing—so that we can offer our customers fully-integrated line solutions. Plawiuk and Segalowitz both cite this long-nurtured, confident self-reliance as a key growth driver that has enabled Multivac to gain significant market share across several key equipment categories. 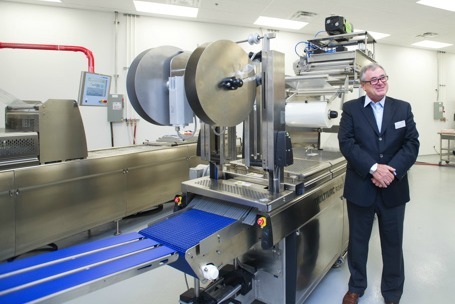 “We are a global market leader in thermoformers, and tray-sealers; we’re a big player in the industrial chamber machines business; and we now have over 200 automation installations worldwide and growing fast,” Plawiuk relates. Both executives explain that the family-owned company continues to make optimal use of all of its global manufacturing capabilities. In addition to continuously modernizing and upgrading its original hometown manufacturing plant in Wolfertschwenden in southern Bavaria, more recently Multivac either built or acquired new manufacturing facilities in Austria, Bulgaria, Spain and Brazil, with its U.S. subsidiary in Kansas City also considered for future manufacturing expansion. Nestor Plawiuk fielding questions from the audience at a recent Multivac Canada open house event in front of the model R 105 thermoformer installed at the company’s Packaging Technology Centre equipment testing and demonstration facility. As well as being universally lauded for all the key performance attributes in terms of throughput speeds, accuracy, quality and changeover capabilities, Segalowitz adds that Multivac equipment enjoys legendary reputation for sheer longevity. “We recently had a Vancouver customer in the specialty foods business that bought a new machine from us, while trading in a 40-year-old Multivac machine that the company originally bought as a back-up for spare parts in case something went wrong with the Multivac used on the shop floor,” he relates. “That spare machine was still in its original crates, untouched, when we took it back from the customer as part of a trade-in,” Plawiuk remarks, “and we are now considering installing it as an exhibit at the company’s own Multivac museum. “It’s a real testament to our technology and manufacturing competencies,” Plawiuk extols, noting the vast majority of the more than 2,000 new machines the company installs each year globally are custom-engineered to fit the customers’ varying application requirements. “The scope and breadth of application knowledge we have built up at Multivac is truly phenomenal,” Segalowitz enthuses, adding that the company’s practice of sharing best practices between all its global operations is also an important ingredient in the company’s value proposition to the marketplace. Adds Segalowitz: “As we expand our manufacturing sites globally, we make it a point to certify them all to the standards of our original home site in Germany. Segalowitz and Plawiuk agree that growing customer demand for smaller, more compact and more agile machinery, along with sanitary design, is a profound market trend across all the major industries served by Multivac. 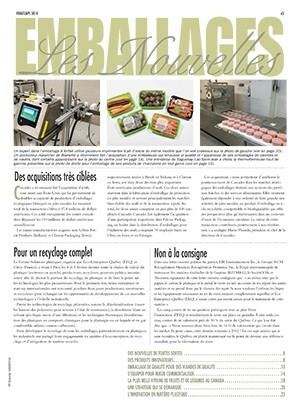 In addition to ensuring better food safety, the smaller new-generation machines also make it possible to introduce primary packaging into the value chain at a much earlier stage in the product’s life-cycle, according to Plawiuk, which can have a positive impact on product shelf-life and on food waste—especially for fresh produce. “If you take freshly-grown lettuce and package it in a hermetically-sealed container at the right atmosphere at the farm level, rather than ship it to a store where the staff keep removing any brownish leaves and rewatering the product to make it look appealing to consumers, you have addressed an important part of the sustainability equation,” he explains. 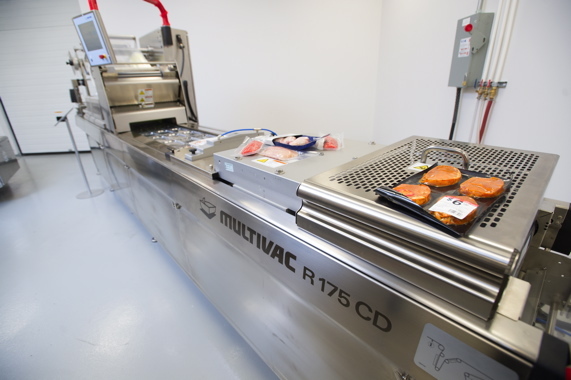 Also displayed at the company’s Packaging Technology Centre, the Multivac R 175 CD thermoformer is a compact-design machine intended for lower- to medium-range VSP (vacuum skin packaging) applications in the meat and poultry processing industries, offering broad operational flexibility in terms of packaging materials, cutting systems and package formats. Says Plawiuk: “The amount of food wasted around the world is obscene, and Multivac is very much focused to provide the packaging technologies to help minimize that waste by helping to keep meat, bread or produce in the fridge longer, without spoiling and going to waste. 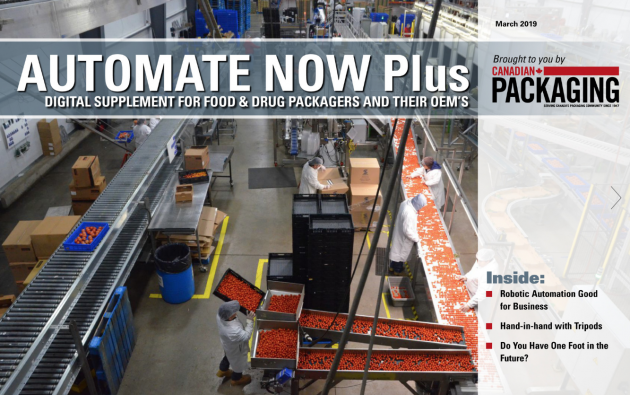 “In my mind, it’s one of the biggest issues facing the food industry and the packaging sector today,” states Plawiuk, pointing out that Multivac is a firm supporter of the United Nations-administered Save Food global initiative on food loss and waste reduction. Although Multivac does not manufacture the plastic films used on its packaging machines, the company has set up its own film distribution network dedicated to supplying the best-quality film to all its active installations worldwide. “Film is an integral part of our packaging solutions,” proclaims Segalowitz, citing an extensive range of different plastic film structures optimized for Multivac machinery: from rigid multilayer constructions to thin skinpackaging films. With the cost of food in Canada continuing to rise well above the general inflation rate, Multivac Canada is uniquely positioned to help food processing companies to keep their labor and other internal production costs in line with more automated machinery and systems supplied by Multivac. 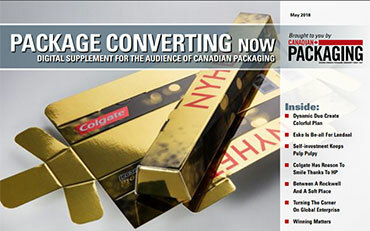 “It’s all about being able to produce the right package effectively for your target audience,” says Plawiuk, noting the food industry is becoming increasingly niche-oriented to tailor to growing demands for greater product variety and differentiation among the various consumer demographics. “This means more multipacks, better portion control, reclosability, ease-of-opening, longer shelf-life, and all those other things that go into play when you’re offering food products to a single millennial, elderly seniors, or to a family of eight,” Plawiuk states. 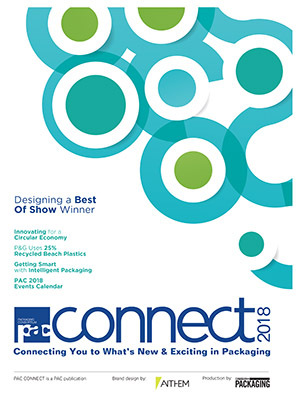 “It is our job to provide our customers with the optimal packaging solutions to satisfy their customers, the everyday consumers, with the package that fits their individual lifestyle preferences,” Plawiuk says. 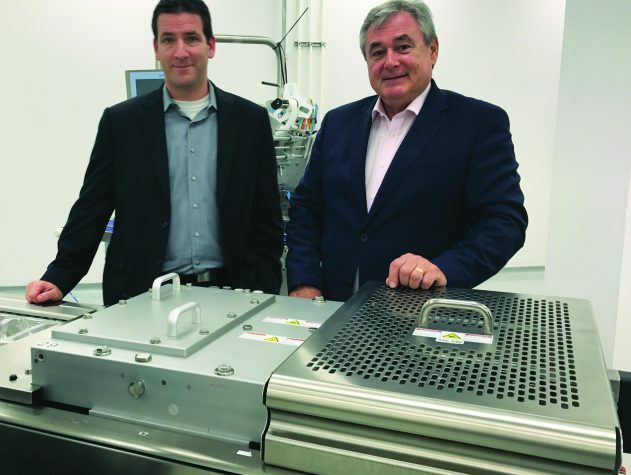 “I have been very fortunate to be a part of this exciting growth chapter for Multivac in Canada,” Plawiuk reflects, “and it’s a great feeling to know that the company has all the right pieces in place to sustain that growth momentum well into the future.